Rush is known as the media pundit who reshaped the political landscape. Love him or hate him, he's defined talk radio. 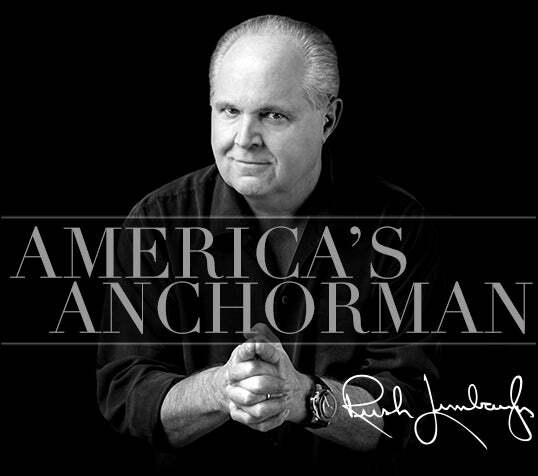 The man who fused conservatism with humor, Rush Limbaugh has remained the most listened-to talk host in America. Funny, upbeat, and innovative, he changed a nation's view of the right-winged stereotype. With a style unlike any other talk show host, Rush Limbaugh took America by storm and has become the most powerful radio personality of the decade. With wit, creativity, and dazzling rhetoric, he took the art of talk show hosting to new heights. Recognized by the country's political leaders, Rush has received the President of the United States and other top officials in his 77WABC based studio. He's the topic of discussion in The Oval Office and the corner drugstore. When a major political news story breaks, everyone wants to know Rush Limbaugh's take; from the print media to TV journalists, a quote from Rush Limbaugh is a major coup. A devoted audience of millions and an intensely attentive media have made Rush Limbaugh an American broadcast legend whose alluring oratorical wizardry continues to captivate.